May 27, 2015 – In the world of competitive off-road racing, one of the biggest hurdles we encounter is not the competition; it’s communication. At races like the Baja 1000, Baja 500 or Vegas to Reno, much of the race is spent trying to decipher reliable from unreliable information. Is it real and how old is it? So much of said communication is hearsay pieced together from spectator reports, passing racers and spotty radio communications. 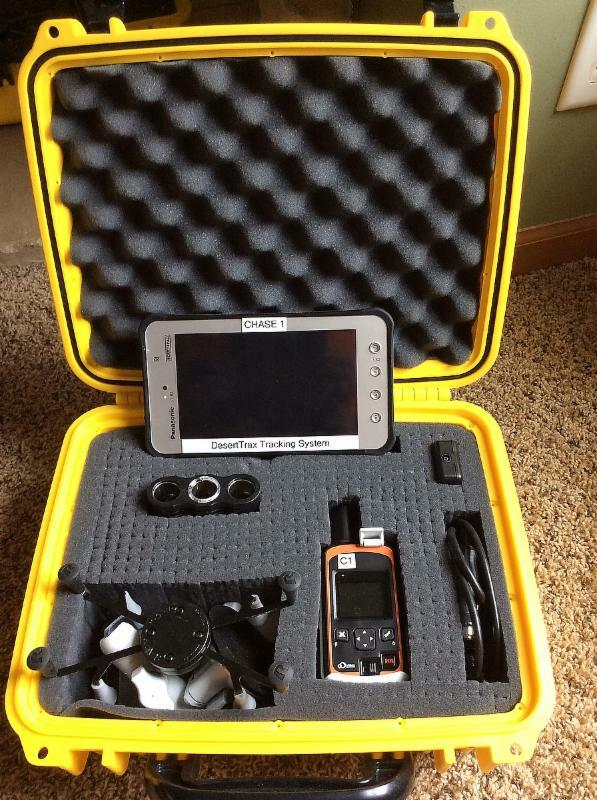 With the advent of race tracking, a team member can send info on where a racer may be stuck or how fast they may be running at home, but that only works if the receiver has cell service, a super expensive MSAT device or a satellite phone, which often becomes unreliable when systems are saturated based on overuse in the area. 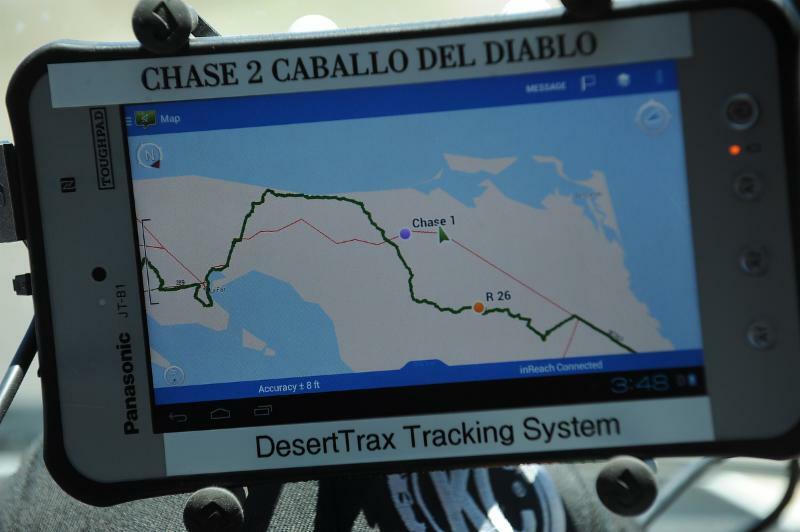 Enter the tracking and communication system by DesertTrax. 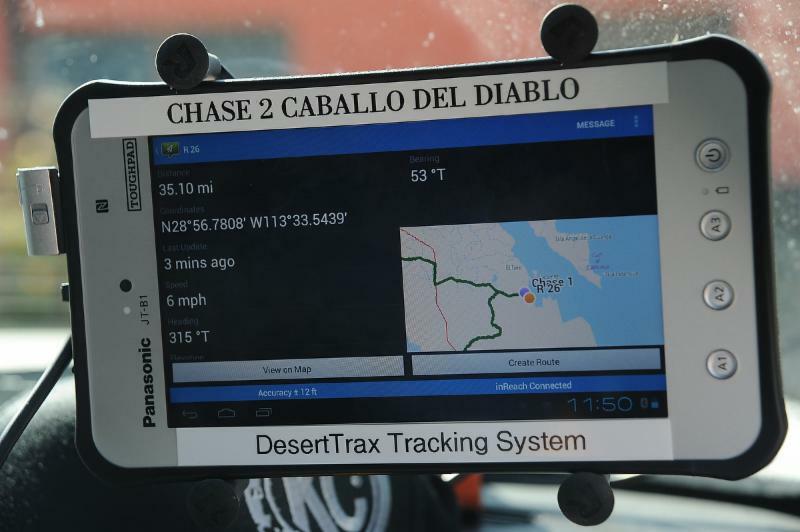 The DesertTrax system, built by Bud Gaston, is made specifically for the rigors of off-road racing. 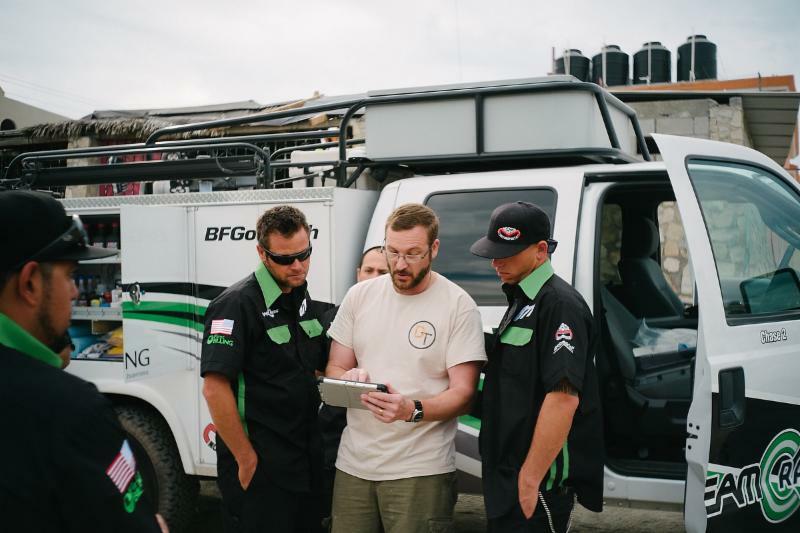 Having an extensive background working with off-road teams and tracking for the past 9 years, Bud created a system that addresses every frustrating topic related to communications and race logistics at off-road events. The system is a digital satellite connection communication that works worldwide. It is ideal for remote areas, unlike cellular that has range and connection limitations. As a team, information about your race and chase trucks and communicating with them in the field during an event is critical. This system will enable your team to send and receive critical information to and from remotely-deployed personnel, to know their exact locations, and to remotely track their movements, all from one common tablet at your fingertips. Additionally, the display unit is very straight forward and easy to use. If you’ve used any type of touch screen tablet like an iPad, Galaxy, or Nextbook, then you already know how to use this system. The tablet is a 7-in. ruggedized Mil-spec Android tablet combined with a RAM X-Grip. This device is on both the race vehicle and chase trucks. Using the tablet is like using any touch screen device we use on a daily basis. It has one simple app to track and communicate with any vehicle in your group equipped with the system, and it has the same selection style and zoom in-out commands. With a touch of the Map button, you see exactly where all your race and chase vehicles are on the course, including what race mile on detailed maps like we are accustomed to seeing. All of this updates every few minutes to give you realtime stats, so you can make informed decisions as your race plays out. The “Team Button”gives you precise information about a selected team member including the distance from your position, bearing, GPS coordinates, age of transmission, speed and altitude. Also, when pressing”view on map,”it instantly shows you their location. The text message feature is the most impressive feature of this unit. Having quick and direct contact with your crew is priceless when everyone else is scrambling for info. Messages and map updates every few moments are ideal forms of communication in the remote areas off-road racing takes us. With each message, you can send and receive 160 character text messages from team tracker to team tracker or send one single message at one time. You can also send and receive 160 character text messages with GPS coordinates to cell numbers or email addresses worldwide. Having all of this at a team’s disposal creates an invaluable team confidence. All of this can also be tracked by a team member back home who can also communicate directly using the text message feature. 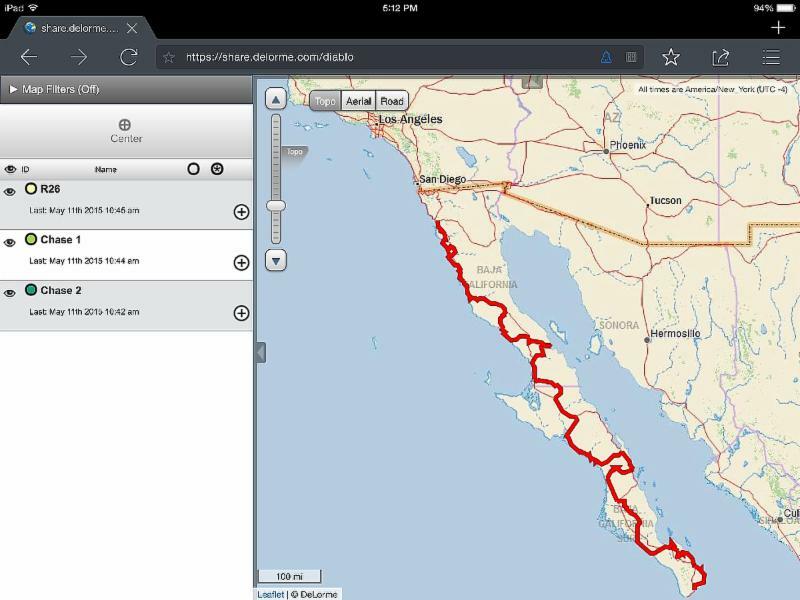 Recently, we were privileged enough to test the system at the 2015 NORRA Mexican 1000 to chase our team on a run down the Baja peninsula. From the first moment, we realized the value of the system when our team experienced a problem and could not reach us by traditional methods to tell us they were having a battery issue at the start line. The race truck radio did not work, and cell service proved unreliable. 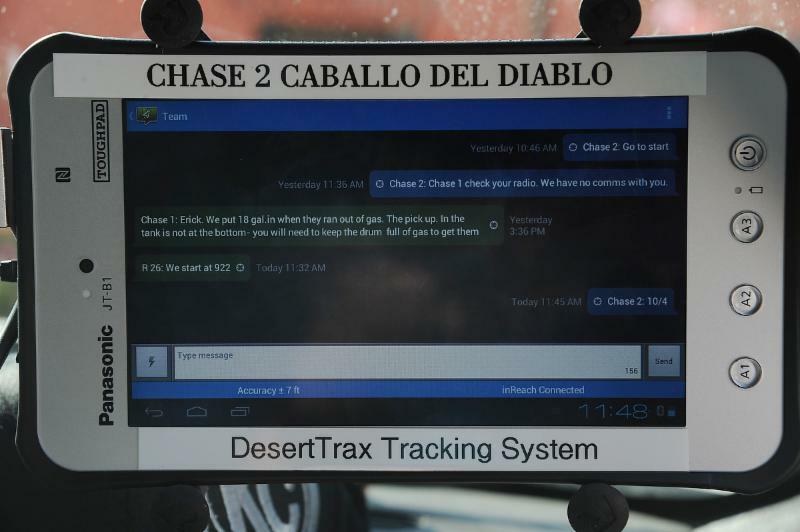 We received a text message through the Desert Trax system to get back to the start as we were leaving town. Without that info, our race would have been over before it even started. For 1300 miles, this system proved vital to our efforts. The best part of this device is that it includes the creator and owner of DesertTrax, Bud Gaston, when you rent it. His hands on approach to customer service is rare and refreshing in a world where most people simply walk away after you’ve made a purchase. But Bud was there to install the system and give everyone on the team a complete run down on how to use it. All questions were answered and when we needed to know something, he was easily reached directly via phone or the DesertTrax message feature.